The ARCHIMEDE OutDoor Protect is constructed and designed for active people who need a rugged watch which is still comfortable to wear. With the new version of ARCHIMEDE OutDoor Protect the ICKLER manufactured steel case and the corresponding steel bracelet now have a hardened surface! Due to many customer requests we now offer the OutDoor Protect with a new Silicone strap. Beside its design, the new Silicone strap convinces with functional properties such as durability, water resistance and good skin compatibility. Additionally it does not absorb odors or liquids and offers high wearing comfort. Another Beauty with a Milanaise mesh bracelet! 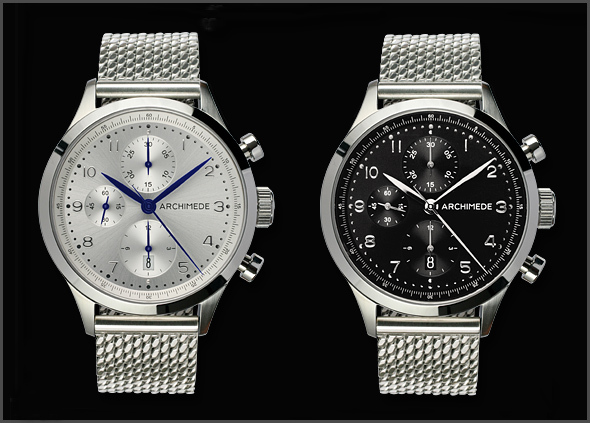 For more information please visit our ARCHIMEDE website. 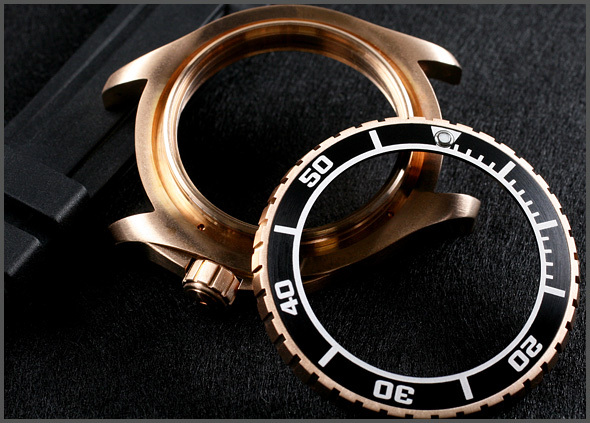 As announced the ARCHIMEDE SportTaucher will be offered with a Bronze Case. Here are the first case parts manufactured by ICKLER.